TDN Z O O O O M B I E!!! This was the description: Thursday Drink Night Some may praise it as the quintessential tiki drink, others may tout it as a horrific explosion of bad rum and candy-red syrup, but to know the Zombie truly is to have seen paradise. A wild mix of rums complimented by a perfect dose of citrus and more than a handful of complex and absolutely required drips and dashes. Want to try a Zombie made with a float of gin? How about with a few dashes of creme de violette? Or maybe a few drops of orange flower water? Come up with the best new Zombie recipe and you’ll find yourself in the possession of a custom-designed, Zombie-themed mug forged by Cass McClure (aka Ocea Otica). Not only that, but your name will be emblazoned upon its visage. A whole array of Zombies were made through the night in true TDN style, but this was the first TDN i was almost falling asleep in front of the computer during the late part of the night well zombied out. It was impossible to make them all but the recipes are on twitter. The winning Zombie voted for among 5 finalists at the Mixoloseum blog was posted today at the Kaiserpenguin and Mixoloseum blogs. Congrats to the winner! A good and healthy float of Jwray overproof rum, and then generously float hibiscus grenadine. 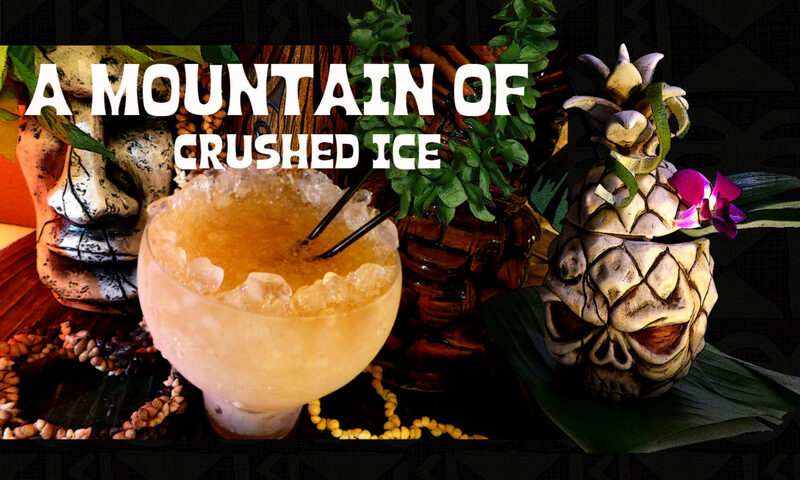 Shake and pour into a chimney glass almost filled with crushed ice, throw in a pineapple leaf for garnish. Shake it all and pour into glass with crushed ice. Garnish with pineapple. Blend with crushed ice at high speed for5 sek. Pour into goblet with more crushed ice. Garnish with sprinkled demerara sugar, limewedge and brandied cherry. Samantha, 151 demerara rum is a high proof (151 proof) demerara rum, the brand is Lemon Hart. Yes the El D12 is good but in my opinion, the 15 even better! but also very different, it`s much more punchy and strong. Dear Mountainofcrushedice, your mexican zombie looks and sounds awesome! Got to try it. “Wild Thing”, you make my heart sing! Loved and saved this drink recipe. I shall revisit you soon. Thank you for sharing. Fantastic Zombies,i`m gonna try all of them, but maybe not the same day! Great photos! Cheers! I haven`t yet tried the 3 year old white El Dorado, if its the barrel aged you mean. But there is another rum i would suggest you try if you can find it and that is Elements 8 white or platinum, its really a “smooth” rum, so smooth that its only really suited for very lightly flavored cocktails.It would be totally wasted in a tiki drink for example. drinking is that you like the taste of alcohol, and I agree that should be the main idea, but it’s not always the reason. Many people drink just to get drunk (especially young people), or to be sociable in certain festive events. I’ve been a non-drinker for all of my life, basically only taking a shot or two during xmas/new years. which had heavy notes of wine, sorry Tiare 😛 ), so I’m stuck drinking either ciders, shots or mixed drinks. which is my big passion, but also to have for entertaining purposes. is sort of a waste too, but at least I can drink it without problems. As a general rule, if it’s a cocktail, I probably can’t drink it. This means drinks like Mai Tai, Margarita, Cosmopolitan, Daiquiri and similar are out. 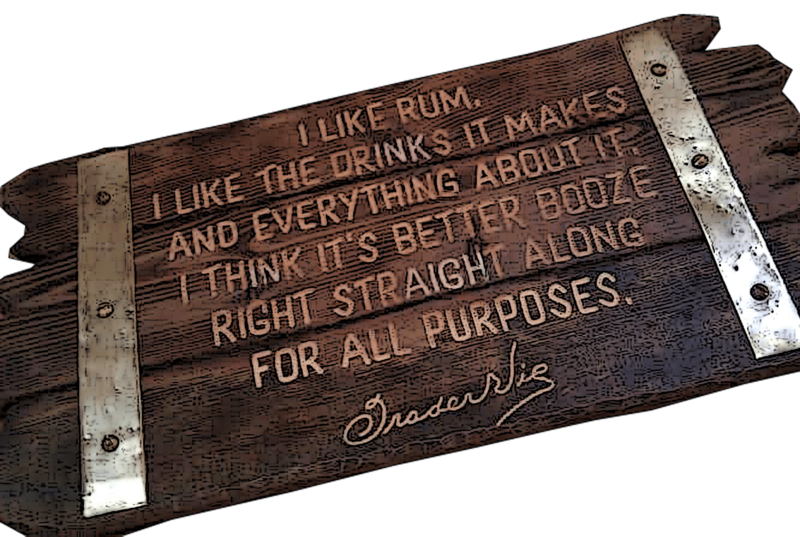 Throughout my trials, I have come to appreciate the “smooth” rums best in the drinks. Banks XM10, El Dorado 3y white (have you tried this one, Tiare? ), Rum Plantation Grande Reserve Barbados, and Appleton V/X are all good for me. they are very inspiring and fun to read. Have a nice weekend guys. Sorry, but I’d have to say don’t drink, or switch to vodka and mix it with lots and lots of juice, which isn’t really a cocktail. Try lots more different liquors- you’ll develop a taste for it. Well, the whole idea with these drinks is that the taste of the alcohol,in most cases here, rum, shall shine through and that the mixers shall balance and accent the alcohol flavor.If you dont like the taste of alcohol you will surely not like these kind of drinks.The 1934 Zombie punch is in my opinion a fabulous tikidrink. 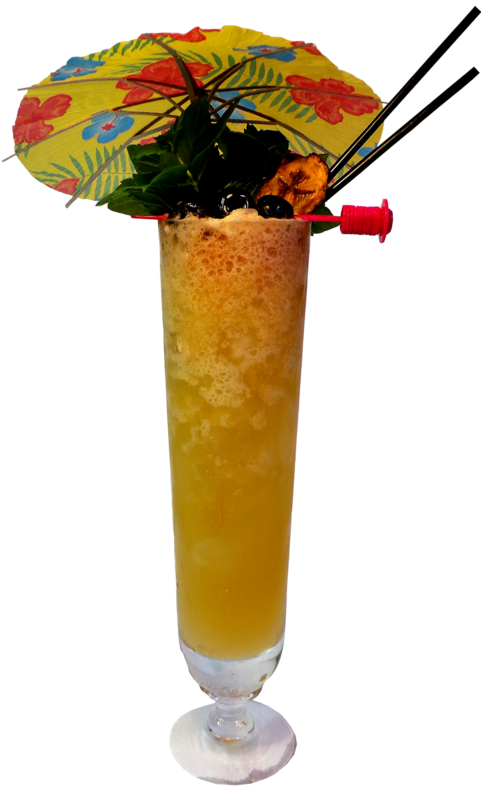 The whole idea of drinking is that you like the taste of alcohol..
As for the Myer´s, its good i think in some tikidrinks. Any tips for drinks that mask the alcohol? i leave it to the readers if any have one? What is it that makes these drinks qualify as Zombies? Just really strong in alcohol? I made a 1934 Zombie Punch last week, and it was one of the worst tasting drinks I’ve ever had. I can give people an easier recipe for it: just skip all the ingredients except for the rum, lime, bitters and ice. I can pretty much guarantee you won’t taste the difference. You could also use falernum and skip the lime and bitters. Hell, you can just about skip everything but the rum and ice. How this drink is so hyped I will never know. I’m so disappointed. Mexican Zombie. 1oz of absinthe plus overproof float? I’m not even going to try that lol. I’ve sadly come to the conclusion recently that most of the tiki drinks are just too boozy for my tastes. I’ve mixed up around 15-20 different ones now and most of them taste pretty much the same to me. I’ve made. If anyone can give me some tips on drinks that mask the alcohol well and taste good, please let me know. On a side note, I wanted to ask about Myer’s Dark. I bought a bottle and it was absolutely disgusting. It has ruined every drink I’ve yet to try it in, just makes everything taste like tar or something. Does it actually work in some drinks? Thanks for the kind words Rick 😉 I had some fun with that one, its a baby pineapple cut in quarter. I made a mini dessert with the other 3 quarters for the kids. Petter, sounds like your saturday will be a nice one. You also reminded me i must get almonds and make new batch of orgeat this weekend. T, your photos are so lovely. My favorite garnish is the one adorning the Mexican Zombie. So fun!